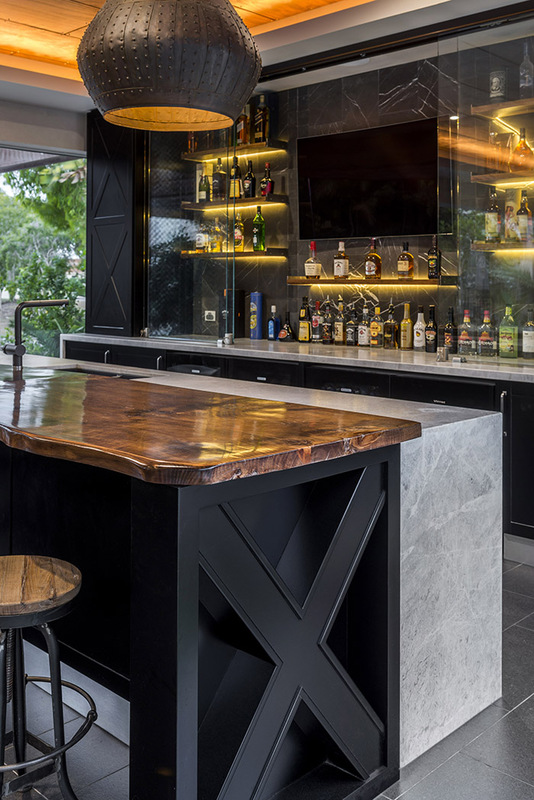 An outdoor entertainment area is complete with this bar designed by Enigma Interiors, combining natural materials, sophisticated appliances and a mix of industrial and rustic elements. 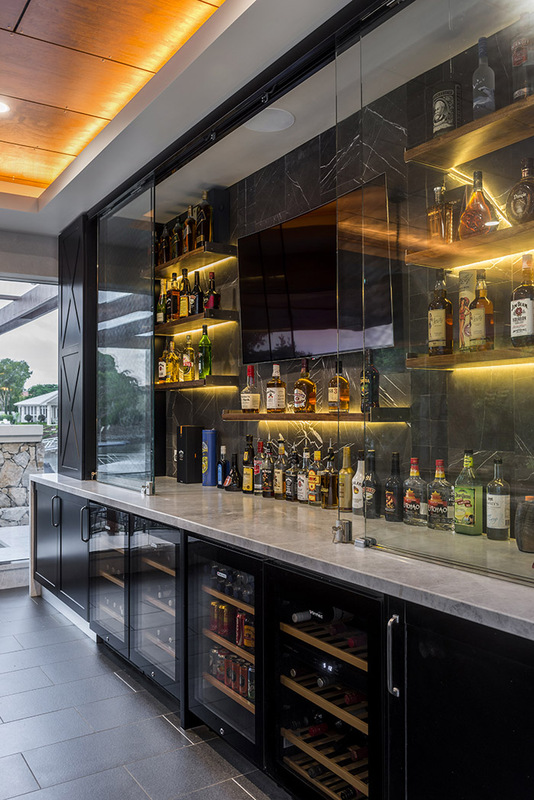 Showing just why he and his award-winning team are leaders in kitchen and bar designs, Lee Hardcastle from Enigma Interiors tackled this outdoor entertainment hub with sophisticated style. 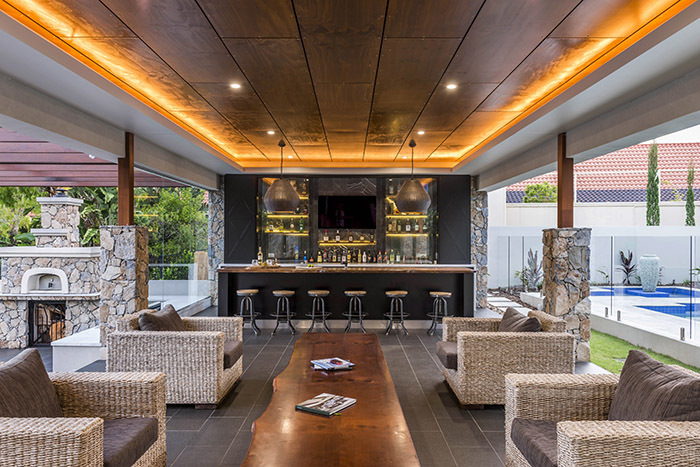 The finished design of this outdoor room makes it look more like an extension of the indoors, but every facet is made with weatherproof materials for a fully functional alfresco space. 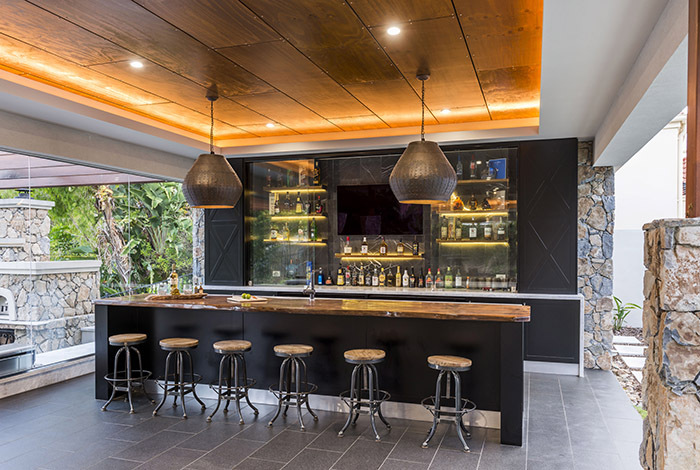 Great for entertaining, the bar blends perfectly with the materials used in the outdoor entertaining area. 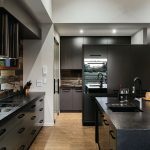 Appliances have been hidden and yet remain easily accessible. 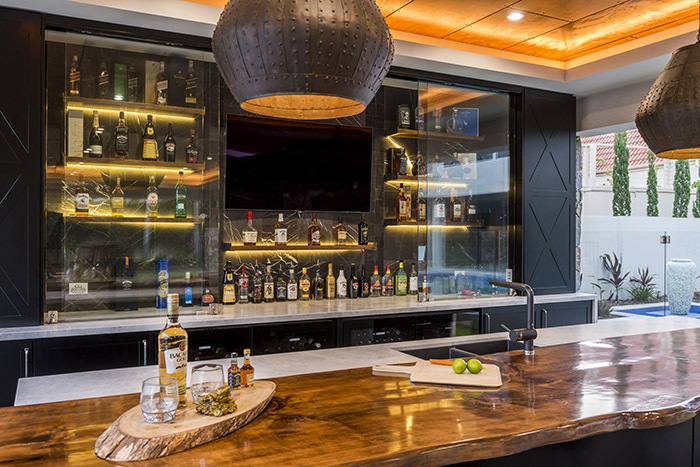 The custom stainless steel shelving has been back lit and completely covered by glass doors, ensuring protection from the elements, while the island, which features a prominent and stylish X pattern, and the addition of wood and stone with a satin 2pac keeps the look modern but earthy. 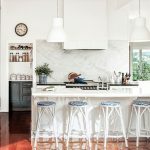 It’s the sort of space where one could happily spend hours lounging, entertaining and making the most of the Queensland lifestyle – it’s relaxed sophistication at its very best. Like what you see? 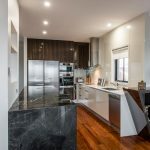 Check out more from Enigma Interiors.